The troupe also offers teaching activities related to the Art of circus. We offer regular and introductory circus workshops after the show. We teach balancing on objects, acrobatics, juggling, and trapeze. 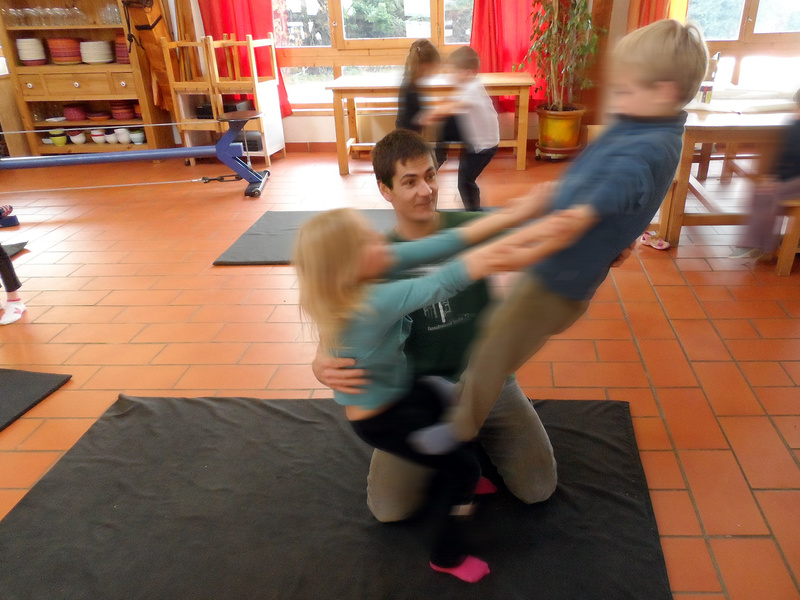 We have been trained in the teaching of circus by the French Federation of Circus Schools (Fédération Française des Écoles de Cirque).